Savvas Savopoulos, his wife, Amy, his son, Phillip, and the housekeeper, Veralicia Figueroa, were tortured and murdered in their home on May 13 and 14. Investigations have shown that the son burned to death, while the other three were stabbed, or suffered blunt force trauma, and covered with gasoline, then the house was set on fire. The Savopoulos' Porsche was found burning in a church parking lot not too long afterward the house was found. There were several questionable happenings around the time of the murder. Savvas' assistant was giving direction to drop of $40,000 on the doorstep of the house, which is looking like the main reason for these deaths, but the police are not exactly sure yet. The second housekeeper got a voice mail telling her that she had the day off and got a text the following day to remind her not to go to the house. Angelika Graswald was charged for second degree murder and manslaughter of her fiance, Vincent Viafore, on Tuesday. The second degree murder charge can carry maximum sentence of 25 years in prison and manslaughter can be up to 15 years in prison. Prosecutors had said that Graswald pulled the drain pug from Viafore's kayak before their trip, tampered with his paddle, and then passively sat in her kayak as he drowned. Witnesses said that Graswald intentionally turned over her own kayak, and then she was rescued by another boater and treated for hypothermia. The 911 call center received a phone call on April 19, 2015 about 20 after Viafore's kayak tipped over in the Hudson river. Graswald told the 911 line that Viafore disappeared into the water without a life jacket. Viafore's body was found over a month later on May 23, 2015. Last July, Noelle Shawver, 5 years old, was accidentally shot and killed by another 5 year old during a play date while the adults were in another room. Rusty and Ashlee Lish were charged with misdemeanor injury to a child after Noelle was shot and killed by another five year old in their Chubbuck home. 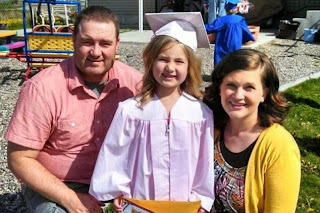 Bannock County prosecutors have reached a deal with Rusty and Ashlee Lish, the couple charged in the accidental shooting of five year old, Noelle Shawver. 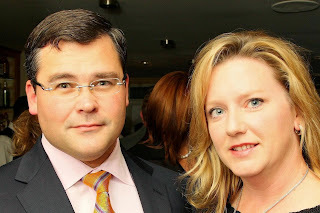 The deal came a day before the Lish's were due back incourt for a pretrial hearing. Prosecutor, Steve Muhonen, told KPVI that the Bannock County Prosecutors Office worked closely with the Shawver's family to come up with the agreement. 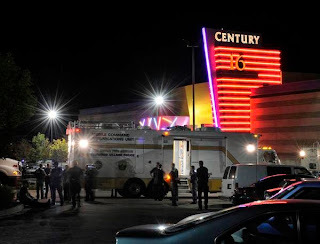 Shots were fired into a movie theater audience on July, 20, 2012 by James Holmes. Covered in protective gear, he threw tear gas into the theater, and fired shots into the audience. Twelve people were killed and 70 more were injured. The exact reason for the shooting is not exactly clear, but it seems like Holmes was upset because he had lost his career, his love life, and his purpose. Holmes has been charged with 165 counts including first degree murder, attempted murder, and possession of explosive devices. Holmes initially plead not guilty, then offered to plea guilty in exchange for life in prison(taking the death penalty off the table). The district attorney turned down the offer, insisting Holmes face the death penalty. Holmes' attorney then turned in a plea of not guilty by reason of insanity. There was a formal discrimination complaint filed against Harvard last Friday. The main complaint was towards Asian- Americans. 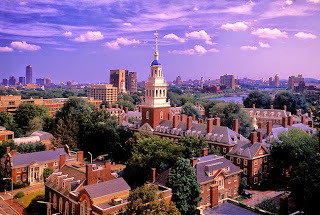 They are claiming that the quota that Harvard has for Asian-Americans is an extremely low rate. Those filing the complaint have a third party researcher that has evidence that Asian-Americans have to score higher on their SAT exams than other racial groups. They have to score 140 points higher than Caucasians, 270 points higher than Hispanics, and 450 points higher than African-Americans. Asian-Americans currently have the lowest acceptance rate at Harvard because they are held to such a high standard. Those filing the complaint are asking for the Department of Education to launch a full investigation into Harvard's admissions process. Harvard is denying all allegations. They say that their admission's policy complies completely to the law. Officials have said that the percent of Asian Americans has risen from 17.6 to 21 percent. 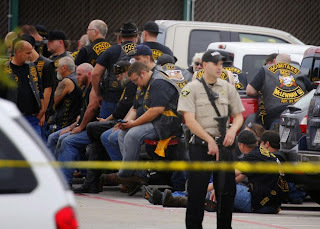 Rival gangs, the Bandidos and the Cossacks, had a shootout at a Twin Peaks restaurant Sunday afternoon in Waco, Texas. It started in parking lot at the restaurant. The bikers started shooting at each other, and then they turned fire on police officers. 8 dead people at the scene of the crime, one death in a hospital after, and 18 injured. 8 Cossacks and 1 Bandido were killed. No bystanders or police officers were injured. Police officers describe it as being one of the bloodiest scenes they have seen in the city. Now more than 170 people have been charged and arrested for organized crime in connection with capital murder. This offense carries the death penalty. A judge set a $1 million bond on suspects on Monday. 12 police officers and SWAT teams were already on the scene when everything started because they had been tipped off earlier that a "gang recruitment" was going to take place. I had a lady come in last year asking us to take over for another attorney on her personal injury case. The other attorney prepared documents for her final settlement in an amount of $31,000. I reviewed her case, and believed she should get the insurance company's policy limits of $75,000. She hired me to take over, and her insurance company today tendered policy limits of $75,000. I am very happy for her because she deserves it. 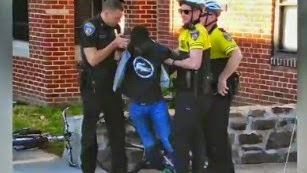 Freddie Gray was taken into custody on a weapons charge on April 12, 2015. While in custody, he sustained a spinal injury and died a week later. Now the six police officers present during the arrest are facing charges for Gray's death. None of the police officers said that they used force during the arrest. From the video available, it looks like Gray was able to get into the police vehicle, but upon exiting the vehicle he was unresponsive. An ambulance was called, but the Deputy Sheriff says that the officers there should have called for one earlier. Since Gray's death, all of the officers involved have been suspended because that is standard procedure when someone dies while in custody. Dominique Sharpton is currently suing the city of New York for 5 million dollars because she sprained her ankle on an even street last year(pictured below). She claimed that she was "severely injured, bruised and wounded." The lawsuit says that she will be suffering long term damage from this injury and will be suffering from a loss of quality of life. However, her social media accounts seem to say otherwise. She has been photographed in high heels, climbing a ladder, and hiking to the top of a mountain in Bali. 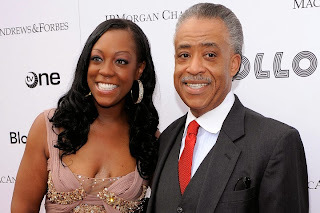 Dominique's father is known as a "shakedown artist," who basically threatens bad publicity if the other party does not follow his lawsuit demands. Corporations have given his business, Sharpton's National Action Network, an absurd amount of money, so they are not labeled as racist. The long awaited verdict of the Boston Bombing came out. Dzhokhar Tsarnaev is found unanimously guilty on multiple counts and will be sentenced to death. 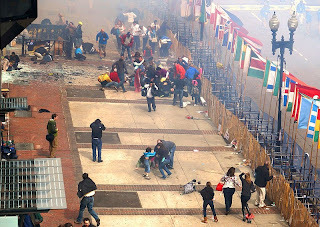 Tsarnaev was convicted of 30 charges of various counts including Use of a Weapon of Mass Destruction and Malicious Destruction of Property Resulting in Death with 17 carrying the potential of the death penalty as a result of the trial in April, 2015. The jurors in the trial only needed to decide that one of these accounts was deserving of the death penalty. The testimony phase lasted 14 days with 14 witnesses being called by the prosecution(asking for the death penalty), and 44 witnesses called by the defense(asking for life in prison without parole). 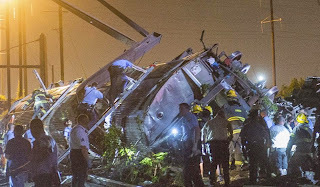 On May 12, 2015, an Amtrak train was derailed which caused at least eight deaths and over 200 injuries to those on board. Preliminary data shows that the train was approaching a curve going around 100 miles per hour during the time of the derailment, when the speed limit of that section of track was 50 mph and just before the curve the speed limit is 80 mph. The section of the track was not equipped positive train control which is an automated speed control system, though Amtrak has put out a statement saying that they have plans on fully activating the speed control system by the end of this year. with It looks like the engineer set the brakes before the crash, but it is unsure exactly what happened because he sustained a concussion during the crash. Authorities are looking to see whether the crash was due to human or mechanical error. Jefferson County Sheriff Blair Olsen was charged with four counts of misusing public funds for personal use including a cell phone for his wife and a lifetime membership to the National Rifle Association. These charges could add up to 47 years in prison and up to $35,000 in fines. The jury found Sheriff Olsen unanimously guilty on May 13, 2015 for three of the felonies of misusing public funds.It only took the jury three hours to decide on their verdict. The sentencing will be on June 22, 2015.